Reading Health System’s most extensive marketing effort ever dimensions what “value” means in healthcare and demonstrates how the organization delivers the value that really matters in making smart choices for one’s total health. Consumers are paying a larger share of their healthcare costs. As they become more engaged in managing their care, seeking value and transparency will shape their perceptions, decision-making and the relationships they form with providers. 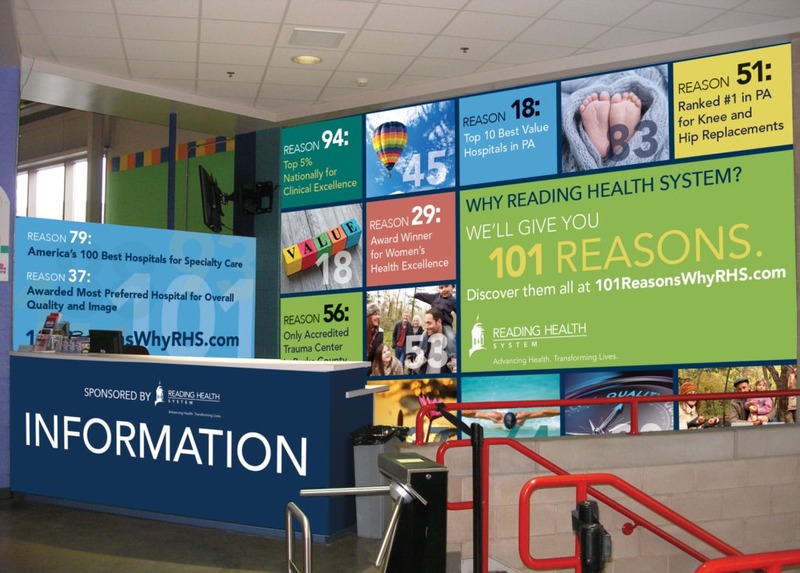 Interactive experience that invites consumers to explore all of the 101 different value-driven reasons to choose Reading Health System. 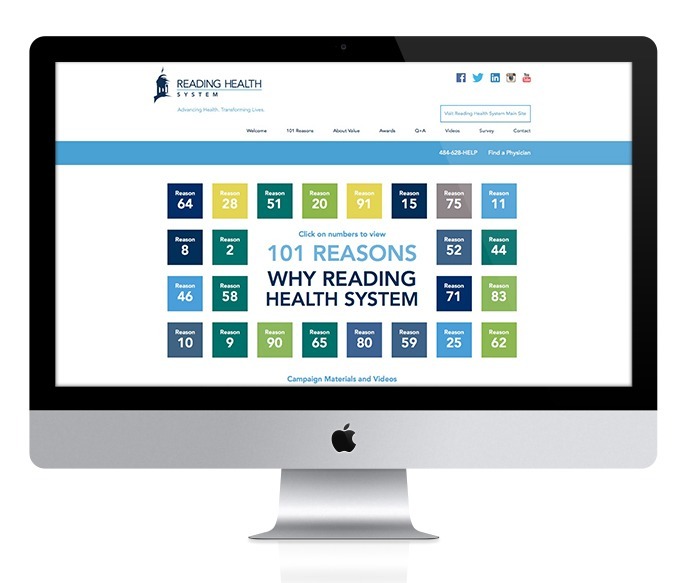 Highlighting the various value-driven benefits of choosing Reading Health System. Any healthcare provider can talk in general terms about value. We went deep, revealing 101 different value-driven reasons to choose Reading Health System, i.e. quality, cost, technology, customer experience, convenience, patient engagement, collaboration, innovation and wellness/support. Reading’s Performing Arts Center is a 7,160-seat multi-purpose arena. As a key sponsor, our “101 Reasons” has a prominent place within the Center. To quote Reading Health System’s CEO… this is an auspicious time for Reading Health System. We launched one of the most ambitious marketing campaigns in our history, to emphasize the most important element we bring our patients – “value.”.